Pair of brass buckles found in the Hudson River Valley. Matches shoe buckles AF. Used for breeches or neck stocks. The fork & pinner is on the brass is made of brass and then plated. 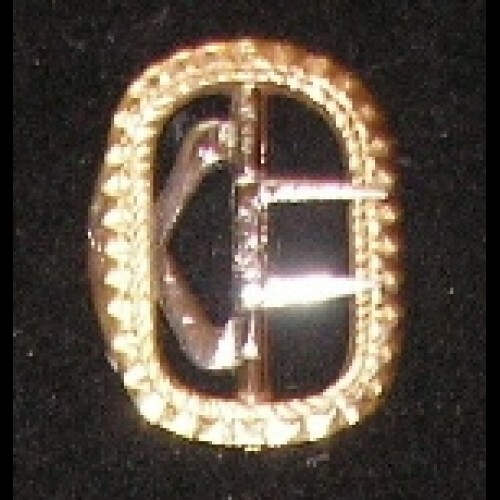 The buckle measures 1 1/2" x 1" on the outside of the ring and 1 1/8" on the inside. You will receive two buckles. 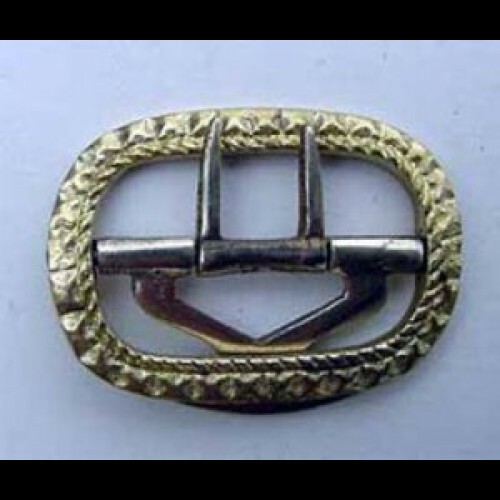 These are period-correct buckles. Also available in white bronze.